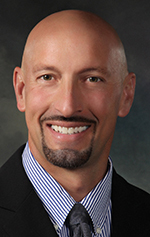 Macomb County has appointed Bryan Santo as the new director of the Macomb County Department of Roads starting Jan. 1. As director, Santo will manage 236 employees and a budget of over $119 million. He will also be responsible for overseeing the design and construction of multi-million dollar road projects and keep in direct contact with the Michigan Department of Transportation and local municipalities to coordinate construction projects. The Department of Roads maintains more than 1,700 miles of road with more than 900 traffic signals, and 60,000 signs. He has worked as a project engineer for the Department of Roads since 1994. Santo earned a bachelor’s degree in civil engineering from the University of Michigan.